My 16 year old son was diagnosed with dyslexia when he was in 3rd grade. We went through absolute craziness to get him the help he needs and I am so incredibly proud of how far he has come. Here is a short vlog he made about his life with dyslexia and what it took for him to “make it” in high school. 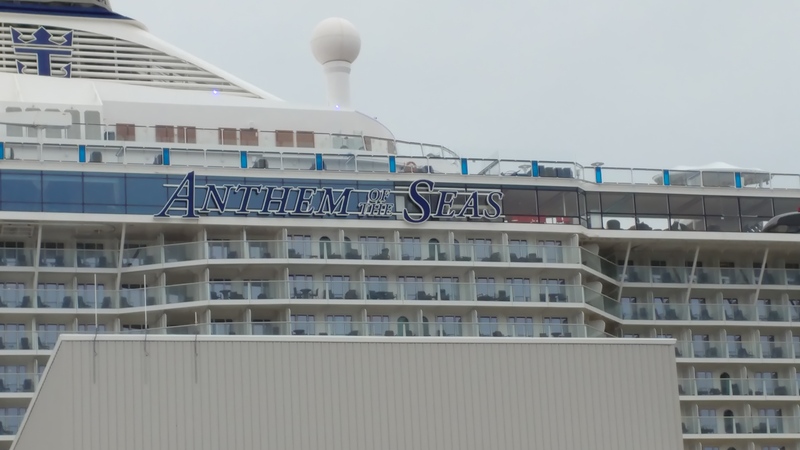 We recently returned from a 9 night vacation on Royal Carribean’s Anthem of the Seas (https://www.royalcaribbean.com/cruise-ships/anthem-of-the-seas) and my review follows. I really touched on the overall main points, feel free to ask specific questions! Little background- this was our 7th cruise, we have been on 3 Carnival Ships, 1 Norwegian ship and this was our 3rd Royal Caribbean cruise (the other two were on the Oasis of the Seas and the Liberty of the Seas). First, we live in NJ so one of my favorite parts of this cruise was leaving out of Bayonne, NJ. No flights, hotels, long travel days, etc. Home to on the ship in under 2 hours! Embarkation was very easy. We got checked in at the port and waited a short time until they started boarding around 11:00am. We hit the buffet and checked out the ship while we waited for our rooms to be ready at 1pm. The Room: We had a very nice Royal Family Suite category stateroom. The stateroom had a living area, two separate bedrooms, a master bathroom with full tub and a second bathroom with shower. The room really was amazing and the balcony was huge. Our room was always clean and towels were always fresh. Our stateroom attendant was extremely nice and helpful, although I wish she was a little more accessible. I had a question regarding laundry one day so I called several departments and was told I would have to speak to the attendant but I couldn’t find her. But, that’s really the only complaint about the room, so I call it a win! They have a very nice Suite program but it is only available on a handful of ships (http://www.royalcaribbean.com/royalsuiteclass), the Anthem being one of those ships. Basically, if you book a suite class room, you get perks based on the level of suite. We were in the middle category so that entitled us to breakfast, lunch and dinner in the suite only restaurant, free wifi, access to the suite sun deck, transportation on the private island, use of the concierge lounge (free drinks and appetizers daily from 5-8pm). These perks were really a nice added touch to our stay! Most of these perks are not included with the lowest tier suite class though, only the top two. The food: The food was just ok. I try to eat on the healthier side and it was very difficult for me to find things to eat. I ended up with the everyday options of salmon or chicken almost everyday. Honestly, even if I didn’t watch what I ate, most of the choices just didn’t sound appealing. The salmon and chicken were very good, I would have just liked more variety. There also weren’t many choices. Realistically, with 4,000 passengers, I would assume they have to limit the menu choices a bit or it would get tough to feed everyone and get them out for the next seating. Speaking of seating, we had “my time dining” and made our reservations for dinners on the first day. When we ate in the main dining room, our reservations were always for 5:15ish, which I think was a good time, as we got in without having to wait. Often, we would leave and there would be a lot of people waiting to be seated- even those with reservations. We did eat in the Coastal Kitchen, the suite-only restaurant, a couple nights. Again, the food was just ok, a half step up from the main dining room but still not many choices. The best meal we had was at Chop’s Grill. The upcharge for Chop’s was (I believe) $42 per person plus tip. We had a room credit, so this was the perfect use for it! Now this was an amazing dinner! I would definitely recommend trying it at least once! I did want to try Wonderland but we never got there. Forget eating healthy on the buffet for lunch. You can have some dry lettuce and that’s about it. Only one day I was able to find a simple protein (fish) that wasn’t covered in a rich sauce. The ship: The ship itself is beautiful. I loved the décor. It was very new and modern looking. I was a little disappointed in the Promenade, as that is Royal Caribbean’s signature deck! The Esplanade, as they call it on the Anthem, is smaller than the Promenade of the other ships. I did hit the Café all day for easy access to coffee and water. It was the perfect spot for that! The sports deck is indoors and very nicely set up. The only problem is that the “highlights” of this ship (roller skating, bumper cars, circus school) all take place on the same floor, so they are only available during very limited hours. As you can imagine, the line for these activities was really long so we never waited for any of those. The ifly, indoor skydiving, was pretty neat. Luckily we made reservations on the first morning because it booked up for the entire week very quickly! The whole process is about 40 minutes (watch video, get suit and helmet, receive instructions) but you only get to fly for 1 minute, which was somewhat disappointing. The shows and activities: The shows are definitely better than other ships. They put on really nice productions. They were all worth seeing – the comedians were funny, the production shows were well put together (their signature show, The Gift, was a little hard to follow but still worth seeing). The other activities around the ship are fairly typical: excursions/shopping talk, trivia, pool games, music, dancing. All well put together. I do like the activities on Royal Caribbean overall better than on Carnival. I feel like Royal just has more to offer. Only a day and a half left on vacation and just the thought of going home makes my stomach hurt. We are 7.5 days into our 9 night cruise on Royal Caribbean’s Anthem of the Seas (look for a review blog within the next week!). This is our third Royal Caribbean Cruise, so I’ll share the pros and cons of this ship, and compare it to other RCL ships we have been on! How does a day at work last forever, but a week on vacation goes by in the blink of an eye??? Although, this cruise has given me a much needed energy boost for my side gig (direct sales). My goal….Pay for next year’s vacation with my mlm paycheck! !